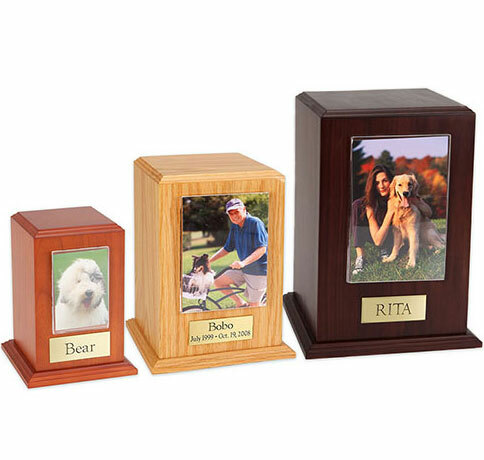 Our Tower Series© Photo Urns are designed for the pet owner who wishes to display their favorite “vertical” photographs. 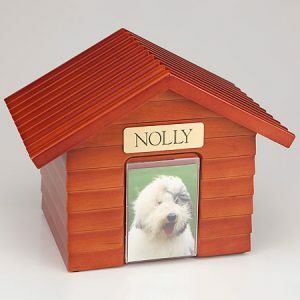 Made of solid Cherry, the Tower Photo urn is a high quality urn worthy of your pet’s memory. 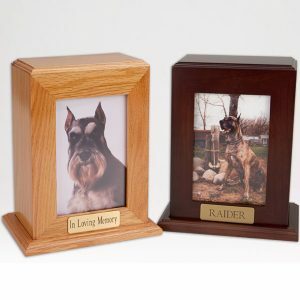 Available in a small, medium, and large size depending on the size of your pet, this urn includes your personal (4 line 100 character) inscription on a premium leaded brass nameplate (centered below the photo holder). 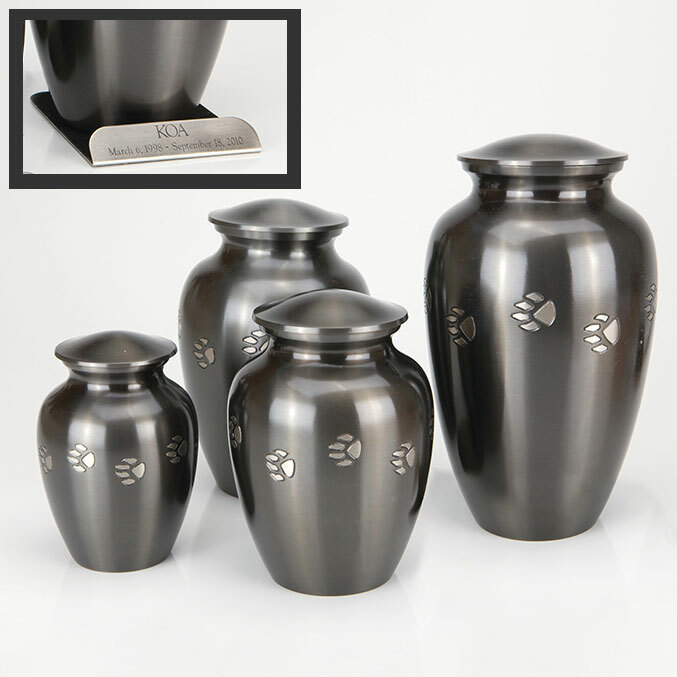 Pet’s bagged ashes are installed through removable bottom which is secured with screws, providing tamper resistant protection. 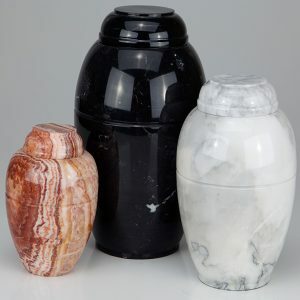 Note: The Small Urn comes automatically with a 2.5″ x 3.5″ vertical photo-holder, the Medium Urn comes with a 3.5″ x 5.0″ vertical photo-holder and the Large Urn comes with a 4.0″ x 6.0″ vertical photo-holder. The photo-holder is attached magnetically and is easy to pop-off, slide in you favorite photograph, and re-attach to the urn. We use the magnet to allow slight adjustments in the positioning of the photo-holder to better fit your visual preferences.